When you look inside your dog’s mouth, are you surprised by seeing hair sticking out of some teeth? The condition is called subgingival hair. “Hairy teeth” are usually seen in dogs who have short, coarse coats such as Labrador Retrievers, Beagles and Bulldogs. The hairs are mainly found sticking up from gums at the canines, incisors or hard bony palate at the roof of the mouth. The hairs come from your dog’s coat and and become trapped in the gums. Most dogs with subgingival hair have skin conditions such as allergies or mange, causing them to lick and chew which in turn embeds the hair in the gums. Once the hairs become trapped in the mouth, they become a breeding ground for bacteria. Gums become inflamed, infected, painful with bone and tooth loss occurring. Infection can spread to other parts of the body if left untreated. If you notice your dog scratching excessively or chewing on his/her body, have your vet check on the cause. At the same time, an examination of the dog’s mouth should be done. If your dog does have a skin condition, check his/her mouth daily. Remove any hairs either by brushing the teeth or using gauze or a Q-Tip to release the hairs. 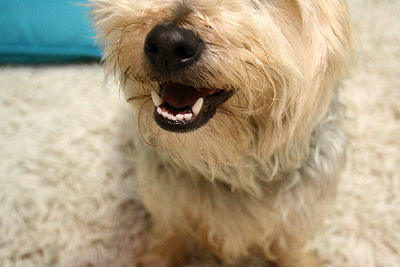 Periodontal (gum) disease is on the rise in dogs. Daily care of teeth and gums can help avoid problems. To keep your dog’s teeth healthy, brush daily or at least 3 times a week. Check your dog’s mouth regularly and if you see something, make that vet appointment. 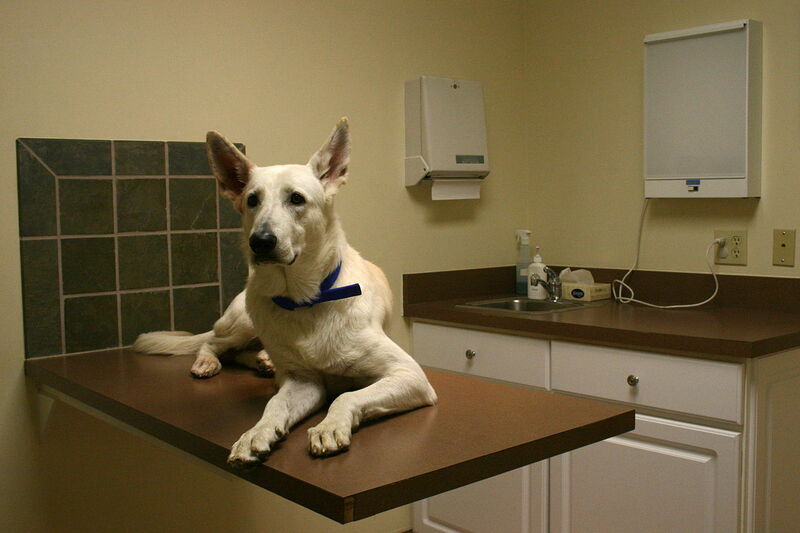 In general, have your healthy dog checked all over by the vet at least once a year to keep him/her in good condition. Catching problems early can mean a good prognosis.